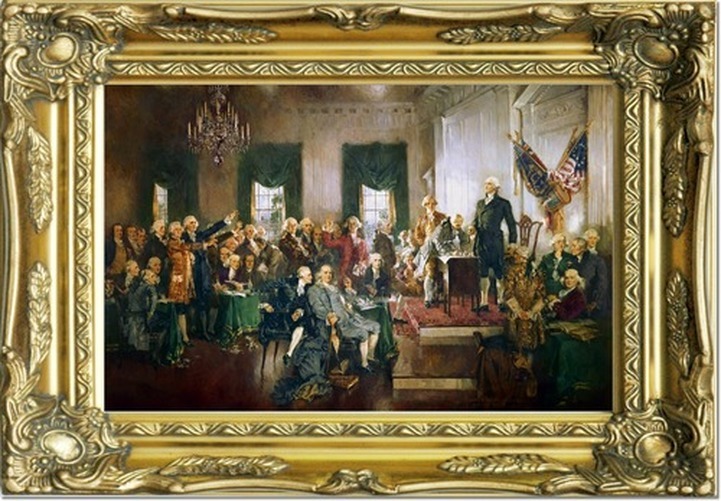 In 1940, Howard Chandler Christy completed this painting of The Scene at the Signing of the Constitution of the United States which happened at Philadelphia on September 17, 1787. 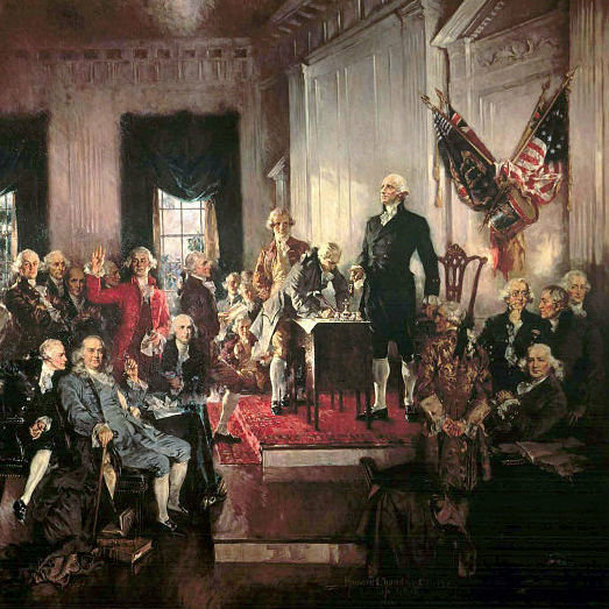 This oil painting is one of the most famous paintings of the United States’ early history. Christy had to work on the painting inside a sail loft because it was so big at 18 by 26 feet. Christy spent five years of research and seven months of painting to complete the picture. A 20 X 30 foot hand-carved frame was made for the picture in nine sections and given a gold-leaf finish. George Washington stands on the dais as president of the constitutional convention. William Jackson, the Convention’s secretary, is in the center wearing red. James Madison is at his left elbow. 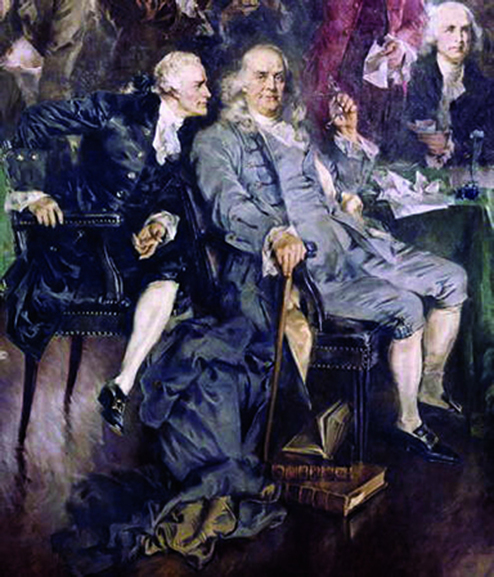 Seated in the center is Benjamin Franklin. Alexander Hamilton leans toward him. The painting hangs in the Capitol building along the east stairway of the House of Representatives. Wikipedia,. 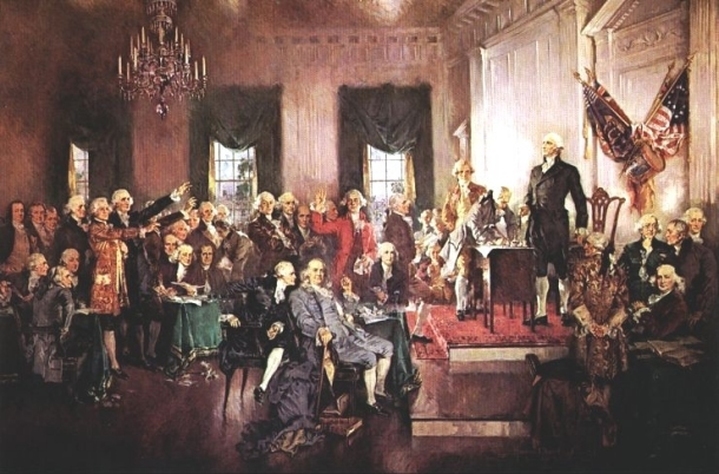 'Scene At The Signing Of The Constitution Of The United States'. N. p., 2015. Web. 11 Sept. 2015.